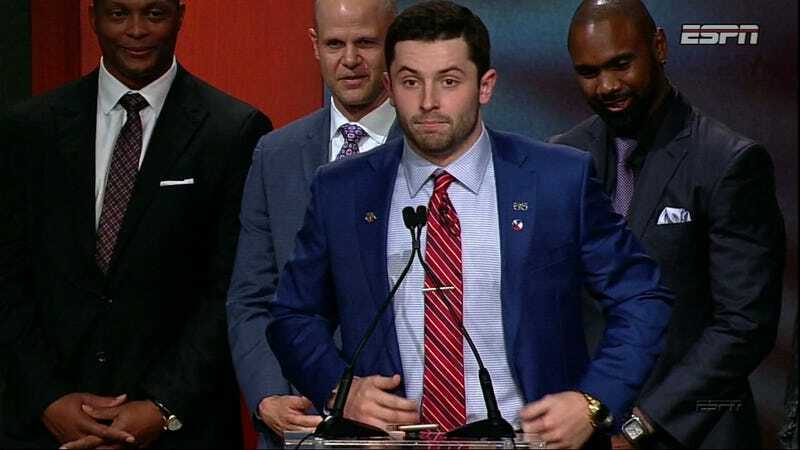 To the surprise of no one, Oklahoma quarterback Baker Mayfield won the Heisman Trophy tonight in New York. He’s the first senior to win the award since Troy Smith in 2006. Mayfield has passed for 4340 yards and 41 touchdowns this season against just five interceptions.